“Too little has been done to address rampant migrant labor abuse. 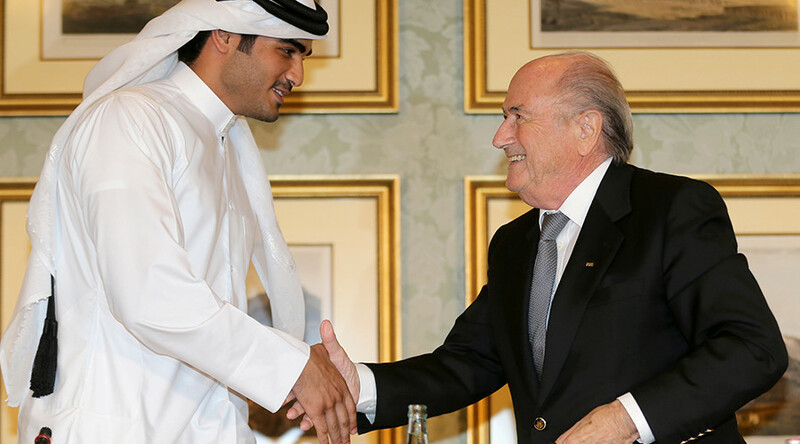 Qatar’s persistent labor reform delays are a recipe for human rights disaster,” Mustafa Qadri, Gulf migrant rights researcher at Amnesty, said in a statement Tuesday, on the eve of the fifth anniversary of Qatar being named host of 2022 World Cup. “Unless action is taken – and soon – then every football fan who visits Qatar in 2022 should ask themselves how they can be sure they are not benefiting from the blood, sweat and tears of migrant workers,” Qadri said. Almost 2 million migrants, mostly from Nepal and other parts of Southeast Asia, have been working on various infrastructure projects connected to the 2022 FIFA World Cup. Rights groups have repeatedly called on the oil-rich state to investigate violations of workers’ rights. Periodic reports by Amnesty, Human Rights Watch, and the International Trade Union Confederation (ITUC) have found that hundreds of workers have been killed in workplace incidents, while the rest have labored in extreme heat for very low wages. The ITUC has estimated that 4,000 workers could die before the start of the 2022 World Cup. In its Tuesday statement, Amnesty urged Qatar to abolish the kafala sponsorship system, which binds workers to a single employer for a set period during which they cannot change jobs or leave the country. FIFA also bears some of the responsibility for failing to sanction Qatar for its egregious and widely cited labor violations, Qadri writes. For its part Qatar has denied exploitative labor practices and insists it has implemented a range of labor reforms.